Soccer Manager 2019 is an immersive soccer management simulater game, in which you can lead your favourite team to victory. Decide to take on a top flight club to test your management skills against the best or help a struggling, lower division team fight for glory. Choose from over 800 clubs from 33 countries around the world, including the major European and South American leagues. So you’ll have the oppotunity to manage one of the biggest clubs in the world. * Realistic Managerial Experience: Sign your favourite players or make a money in the transfer markets and manage your squad with a realistic way. Keep your squad happy with player contract negotiations and dominate on the pitch in the improved competitions and league playoffs. Your success will reward you with more prestigious job offers to further your management career. 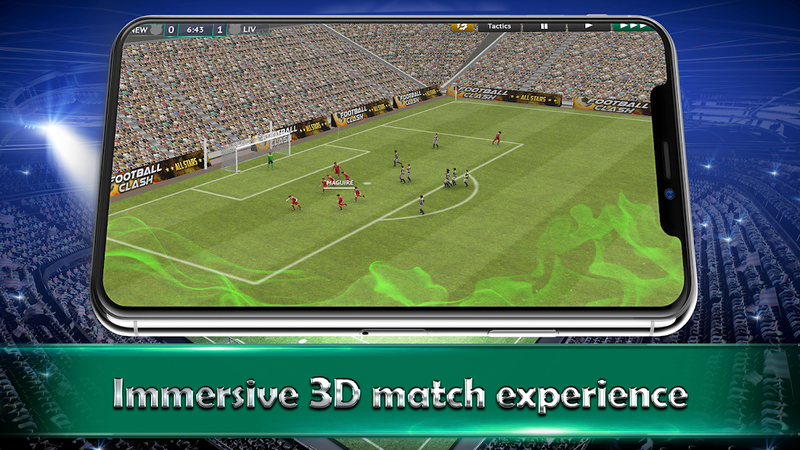 * Immersive Match Experience: Watch a match that shows in a realistic 3D environment. Analyse your team's performance when your players carry out their individual actions and team instructions. Beat head on to your opponent by making live tactical changes as you chase the winning goal. * Build Your Team on and off the Pitch: Find and get the best players, make them to excellcent players, and make a talent in the future with the club facilities.